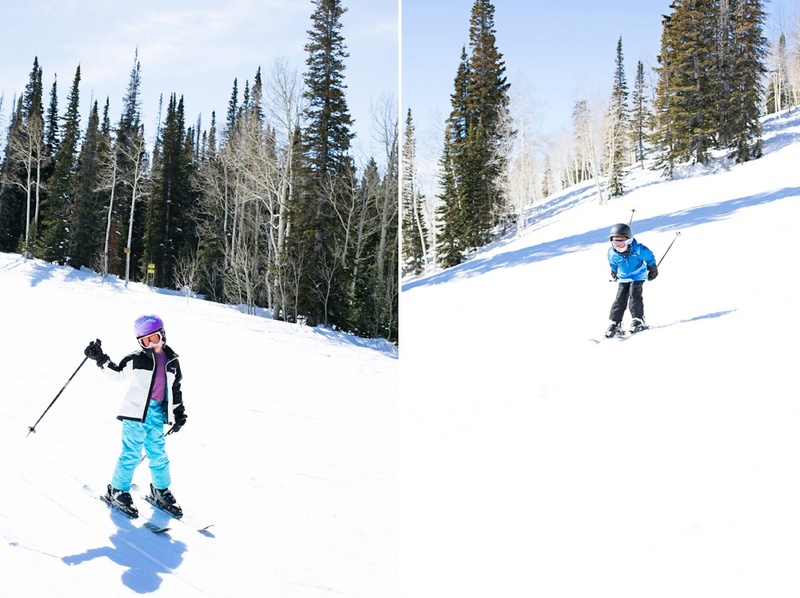 Family Ski Vacations are quickly becoming one of our favorite family vacations! 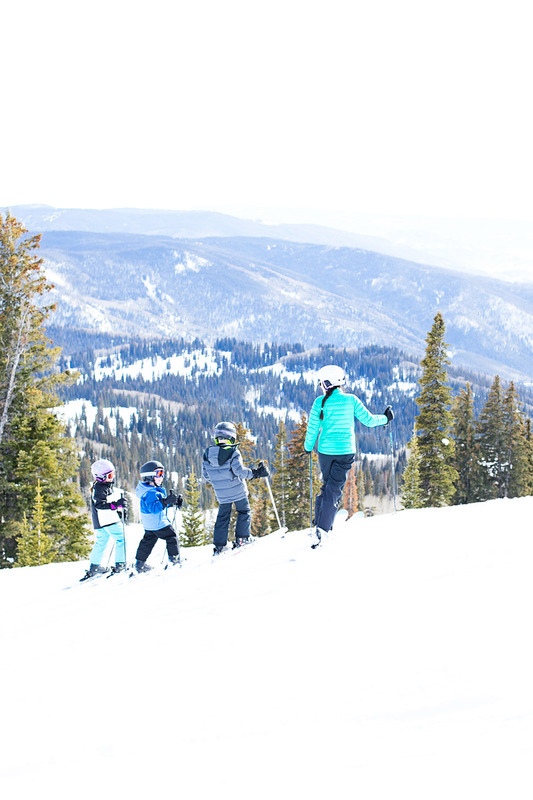 There is nothing like hitting the slopes, and cozying up together as a family! 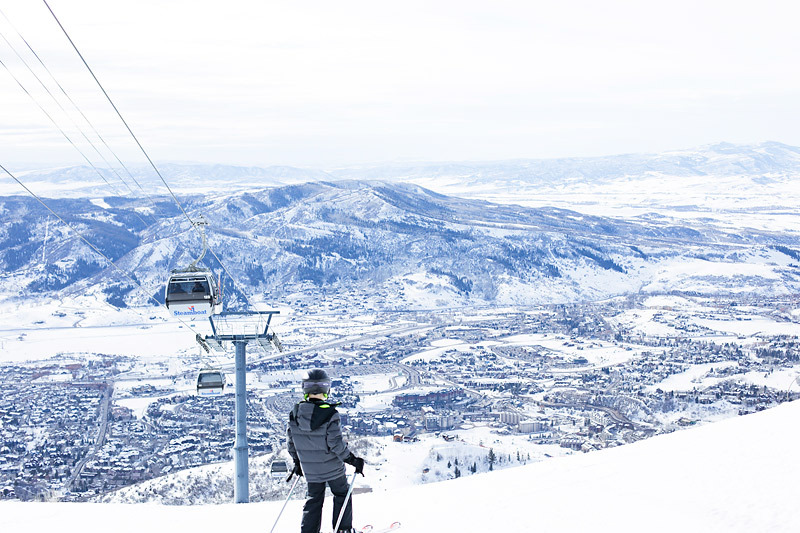 This the second year in a row we headed off the unbeaten path to the small ski town of Steamboat Springs, Colorado! 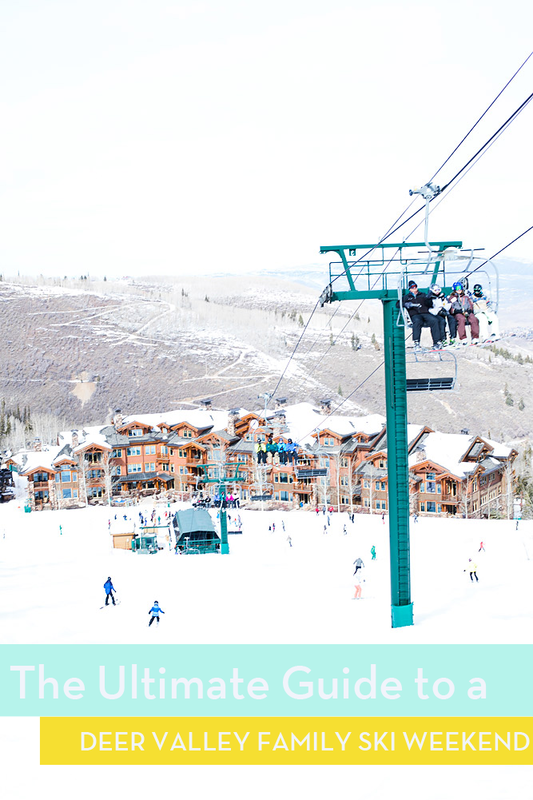 It is the cutest little town nestled 7,000 feet up in the Colorado Rockies, and it is one of the largest ski mountains in North America! It really is the perfect Family Ski town! 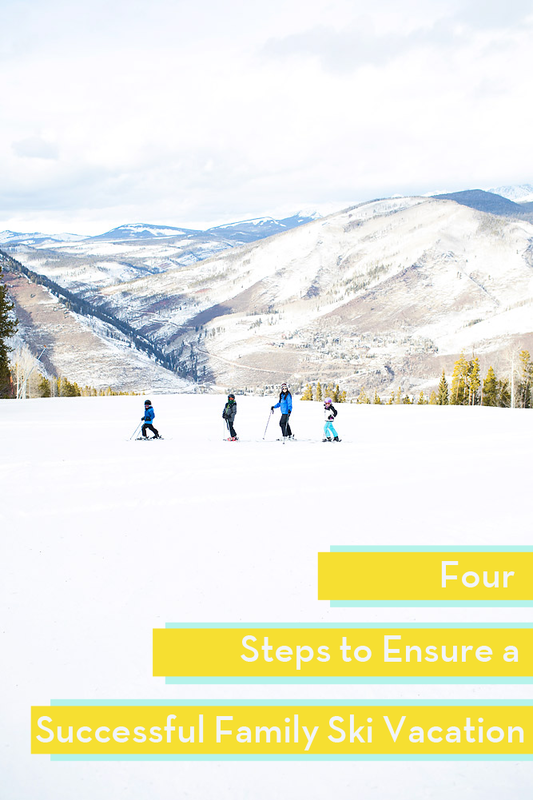 Planning a family vacation is never an easy feat, but I have also found that planning a family ski vacation also brings on a lot of other factors. There are many things to keep in mind like: weather, all the gear, lodging, transportation, ski lessons, there is just so much to consider. 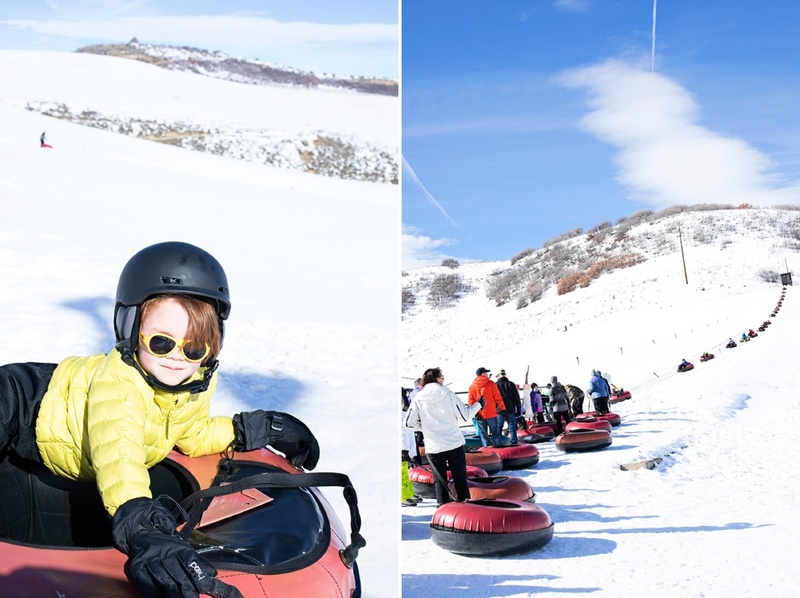 Pick the Perfect Family Friendly Resort: I cannot stress enough the importance of choosing a mountain that fits your family. 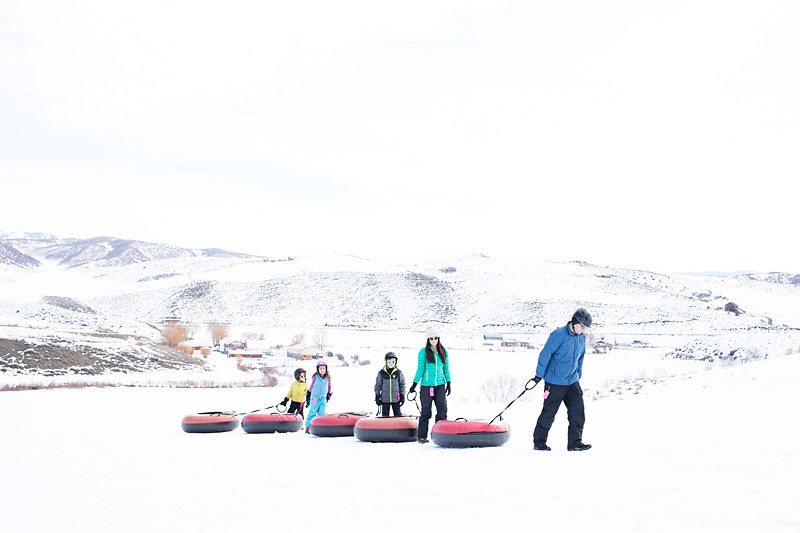 Research and pick a location that is family friendly, but also has activities both on and off the slopes. 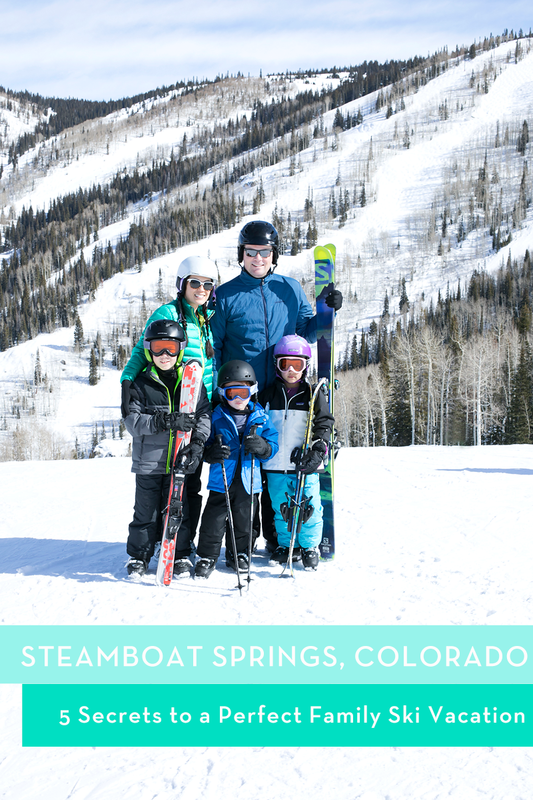 For this reason we have loved heading to Steamboat Springs Wyndham Vacation Rentals for our family ski vacation of choice! 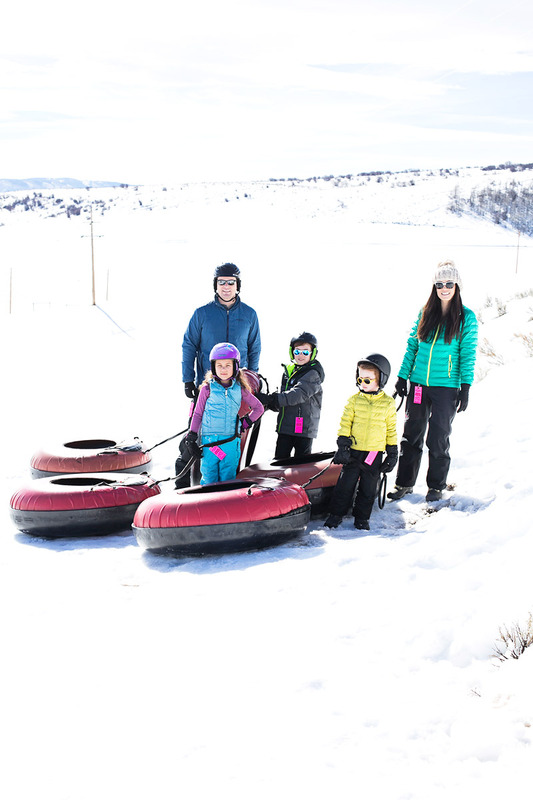 The Steamboat Springs Resort has so many family friendly runs that are wide open and a great variety for all skill levels! 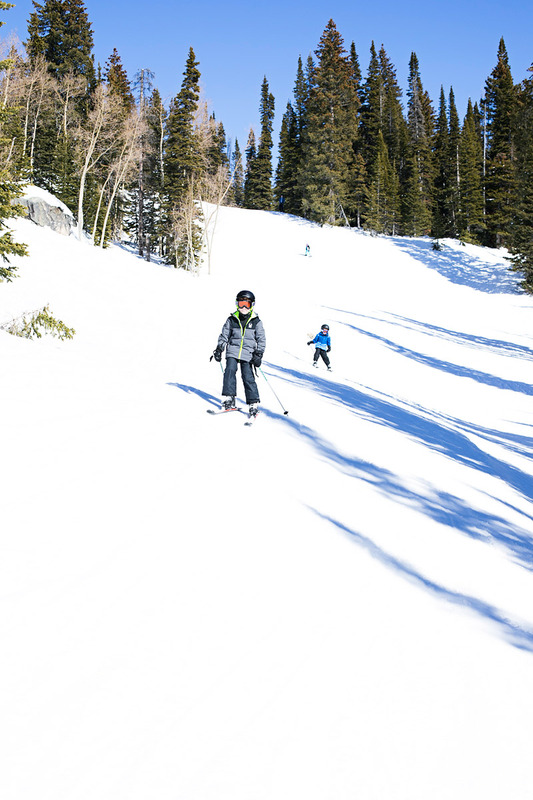 My kids couldn’t get enough of their amazing skiing in between the trees, and all the little kid-friendly jumps along the side of the runs! They literally had the best time, and thought it was so cool to hit the jumps! 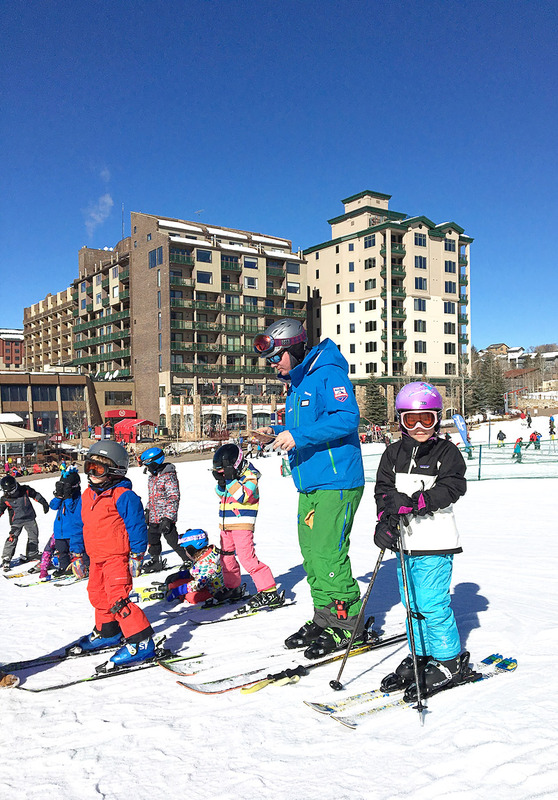 We put our daughter Norah in Steamboat Resort Ski School the first day we were there, and she had the best time! Their ski school is super organized, and they did a great job! She even wore a GPS tracker around her ankle and we were able to check to see where she went on the mountain at the end of the day, along with her report card! 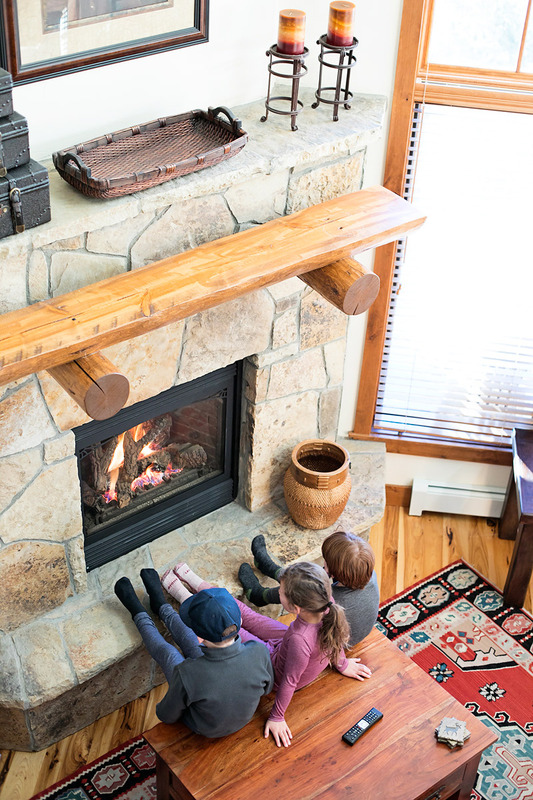 Pick the Perfect Place to Stay with the Convenience of Home: Picking the perfect lodging for a family ski trip pretty much makes or breaks the vacation. It is so important to research and pick the right place for your family to stay. It is important for it to feel cozy, but also have some space, and for it to feel like home! 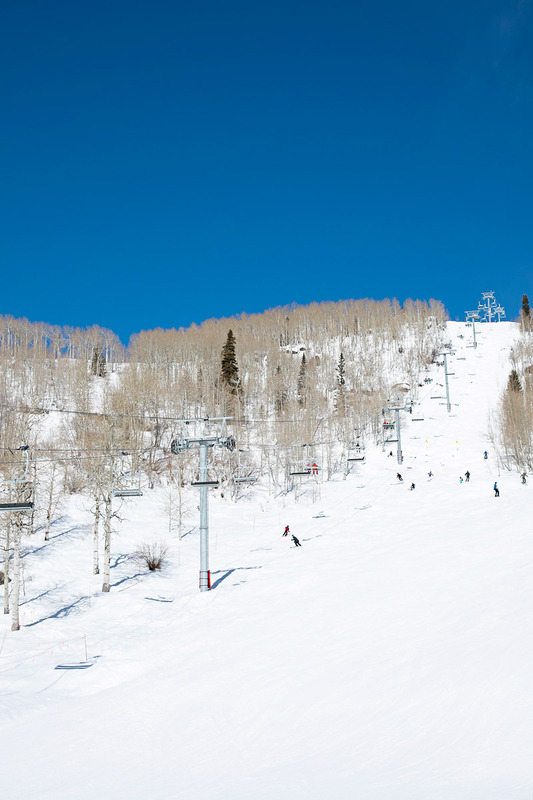 The last two times we have gone to Steamboat we have used Wynham Vacation Rentals. 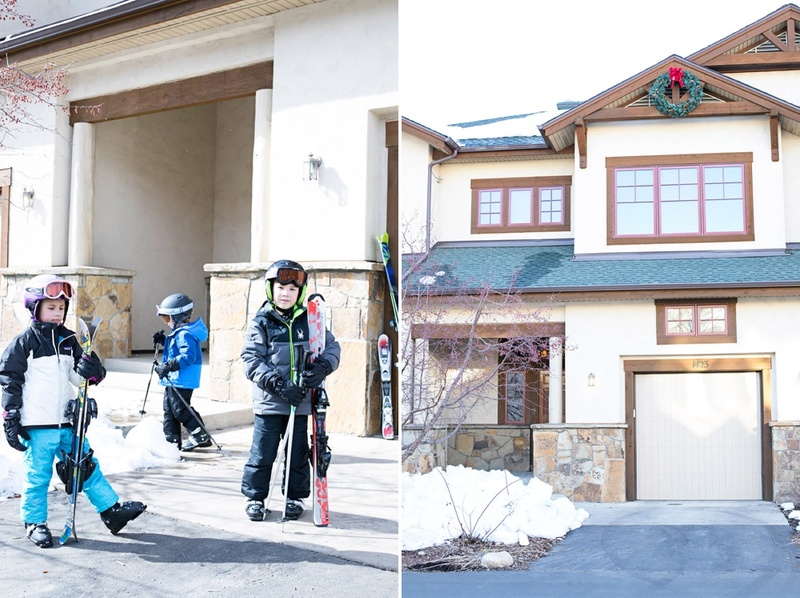 This year we stayed at the Eagle Ridge Townhomes, just below the Resort. 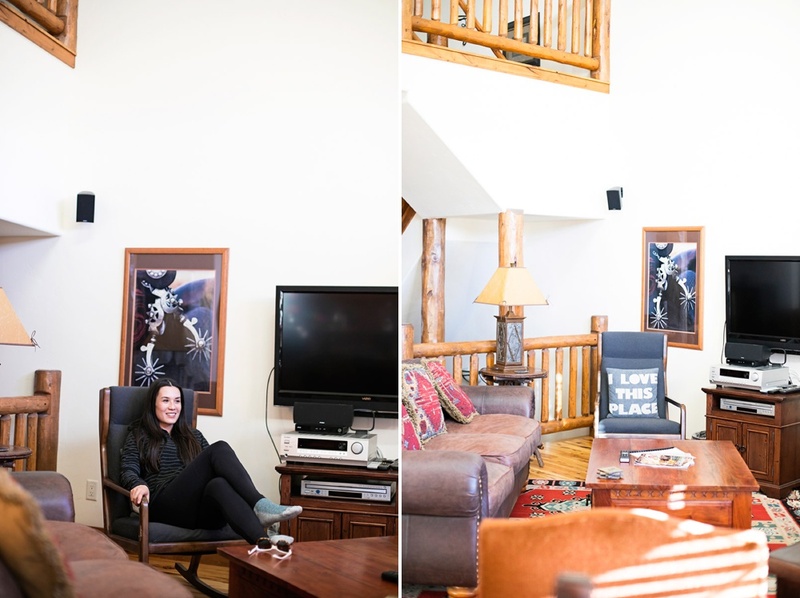 It was the perfect location, just a skip from the Steamboat Springs Ski Resort! We had a spacious 4 bedroom townhome, with lots of living areas, bathrooms, fully-stocked kitchen, access to a fitness center, pool, and a heated garage! Yes, a heated garage! I can’t tell you how much easier this made things on the family! Being able to pull into a garage, and store our ski gear in a nice warm place made it so easy and convenient! If you are a skier, then you know how hard it is to put on cold boots! Also, the shuttle provided by Wyndham to the resort picked us up right in-front of our townhouse. It made it so much easier to be able to gear up in the heated garage, then take a few steps to the shuttle. If you have kids, then you know how amazing this is! Getting kids geared up to ski is one thing, but to have to haul everything or find parking, well that makes it so hard! I couldn’t have been happier with that little piece of convenience! Double Check your Gear before Heading out the Door: There is nothing worse then just getting onto the slopes, and one of your kids is having a meltdown over their boots being too small, or their helmet not fitting properly. It is so important to make sure gear fits comfortably, and are the right sizes before heading off for some ski time. Before you head out of town, checking the weather is also always a good idea! Don’t forget protective eyewear, sun block, chapstick, helmets, warm gloves, hand warmers, and neckwear, along with good quality coats, and ski pants. I always like to dress my kids in layers. 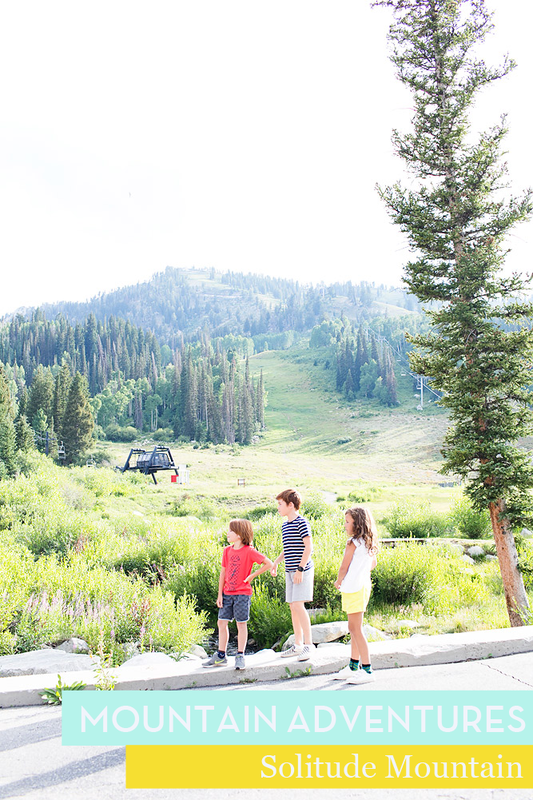 It was un-seasonable warm when we were in Steamboat Springs this year, and my kids were getting so hot and starting to melt down. We took off a few layers and they ending up being so much happier and comfortable. 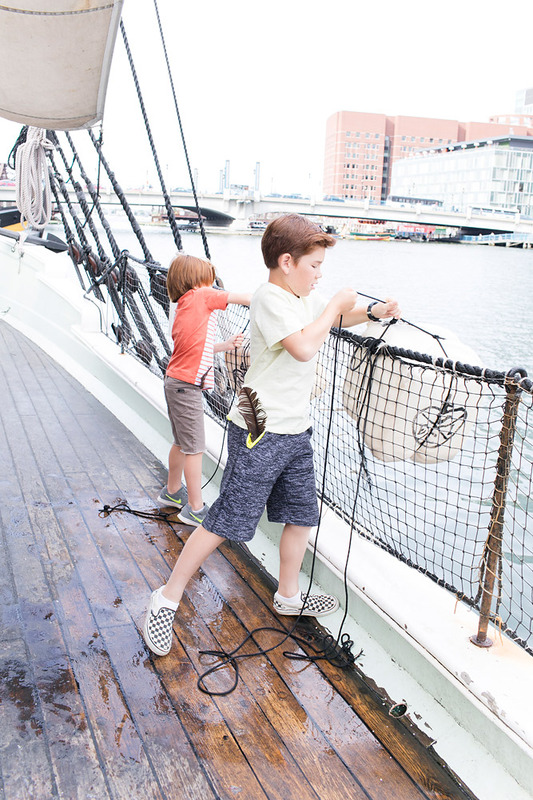 Plan other Activities and be Flexible: When planning a vacation with children, it is always important to be flexible. Kids sometimes aren’t feeling well, or things don’t always go as planned. Be flexible for lunch, and meal times, and schedule in some time to just relax! 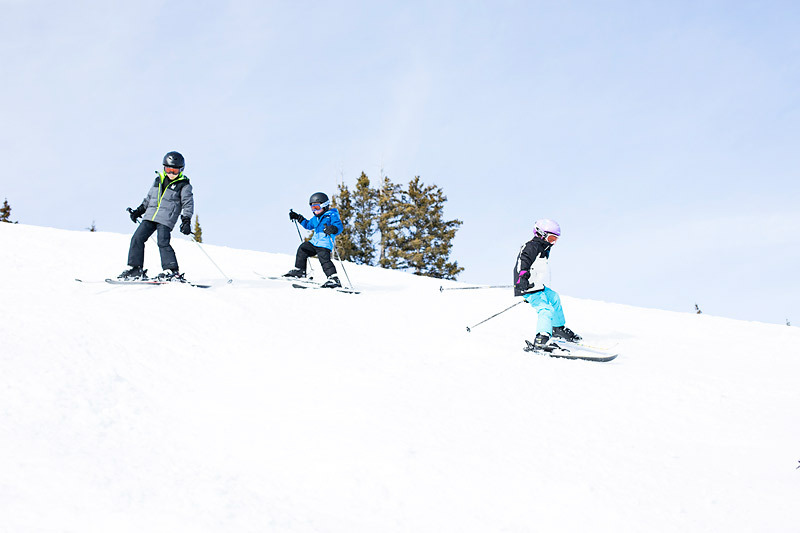 If you are headed out to a ski vacation, and plan to ski multiple days, it might be a good idea to spread out the ski days, so there is a day or so in between to allow the kids (and parents!) to relax a bit and re-group for another long day out on the slopes! 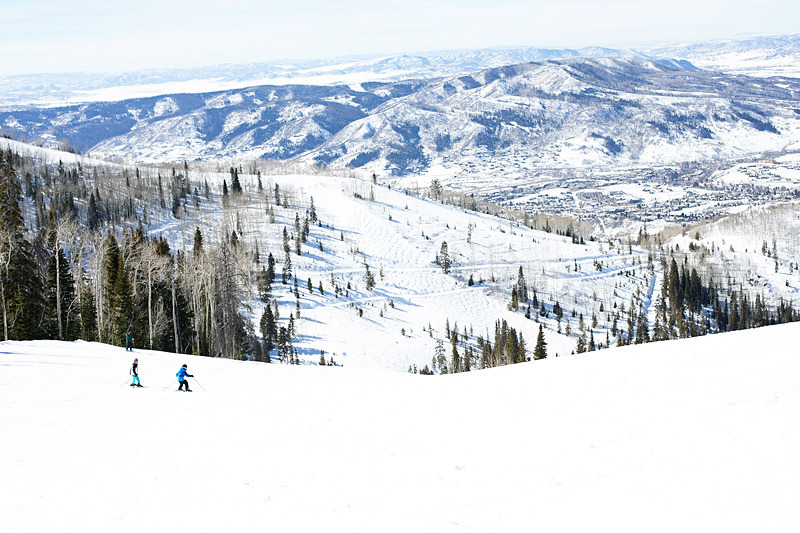 Most ski towns like Steamboat Springs have a large variety of activities. 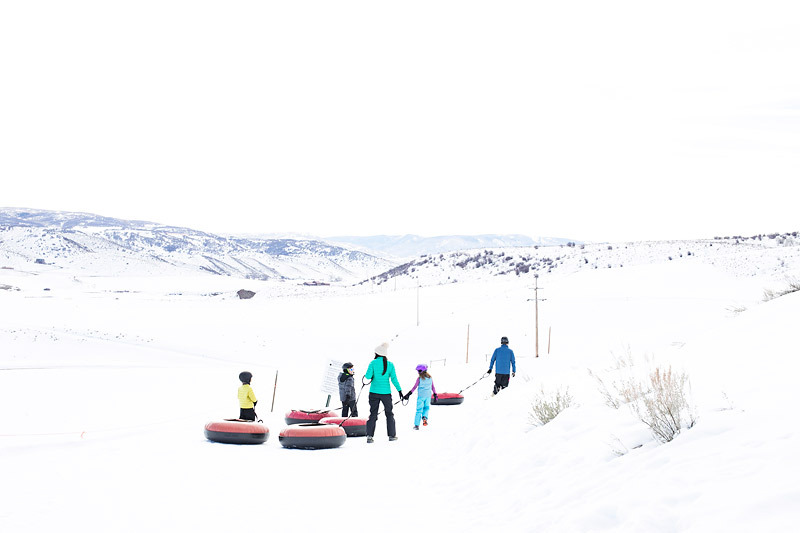 We were able to head out to a local favorite called Saddleback Ranch to do some tubing at Yee-hah Hill! 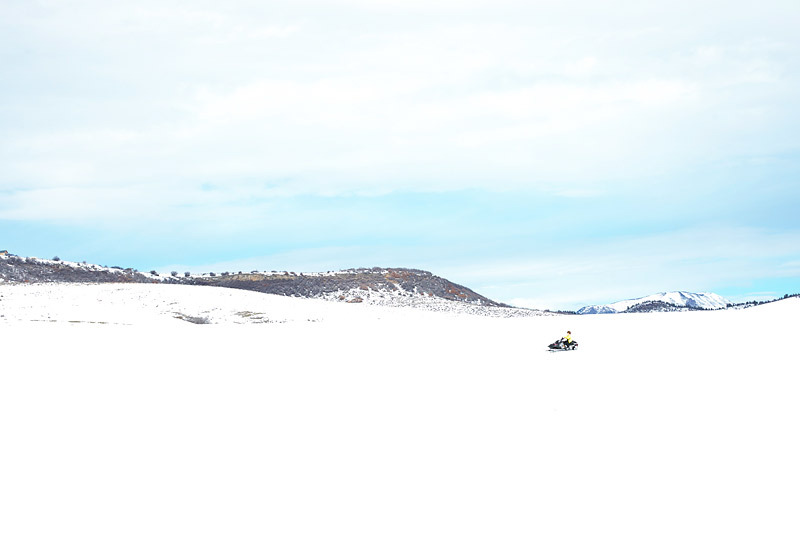 It was a beautiful drive to a locally owned Ranch where they have a fun tubing hill in the winter! We loved that they had a few different run options, some being super fast! 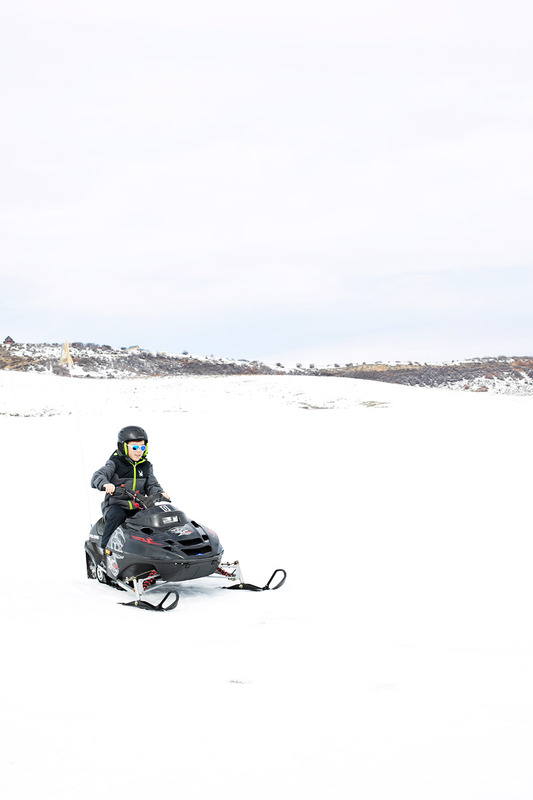 They also had a little track for the kids to drive their kid-sized snowmobiles! My boys were in heaven! 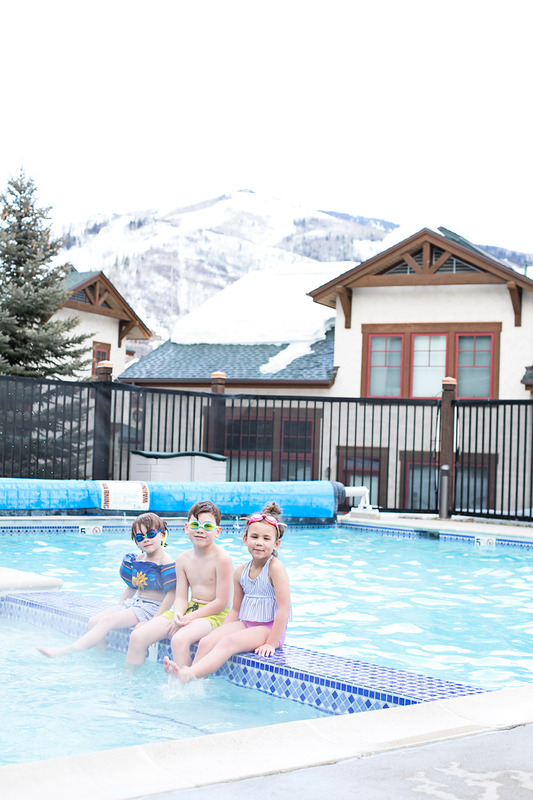 After a fun morning of tubing, we were able to come back to our Wyndham Vacation Rental Townhome, and enjoy the heated pool and hot tub! Can you believe that view? I love heated outdoor pools in the winter! 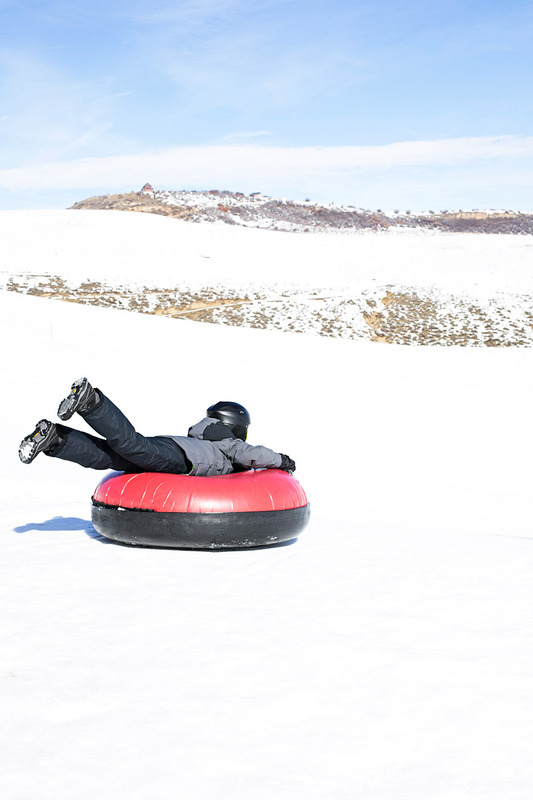 And, it is a great way to relax some tired muscles after a long day of winter fun! Have a Good Attitude: I know this seems like an obvious one, but can I tell you, it really makes a difference! On our second day of skiing as an entire family, we set an intention with the kids that we expected them all to try their best, and do their best to have a good attitude! We promised them, that if they had a good attitude, then it would be a fun day for us all! We had to remind them a few times, but, guess what?! They did it! No one complained, they got a long super well, and even cheered each other on! They interacted with each other, raced and skied together, smiled, and had the best time! I will have to say it was THE most fun our family has had skiing on the mountain together ever! It was so much more enjoyable when everyone had an amazing attitude, and really gave it their all! 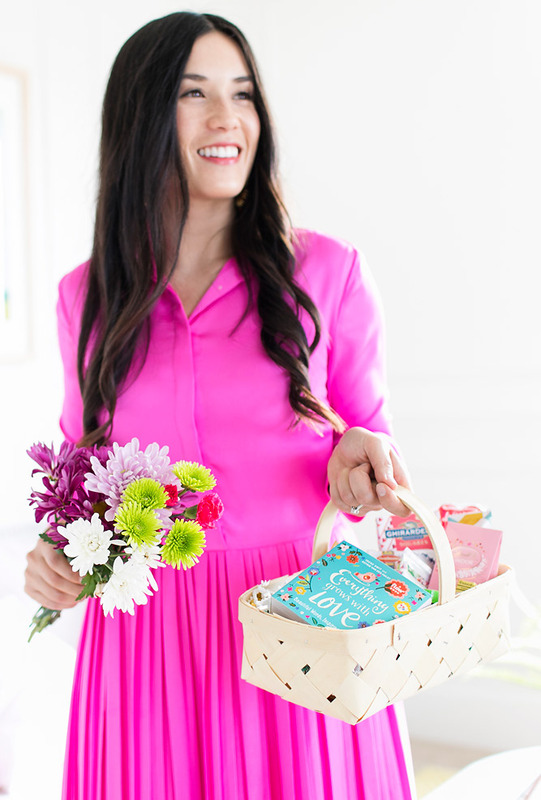 I couldn’t believe how much it helped the entire day be exactly what I had hoped and dreamed for! We even reward their good behavior and allowed the children to pick out a souvenir from the trip, and they couldn’t have been more thrilled! It was the perfect day! 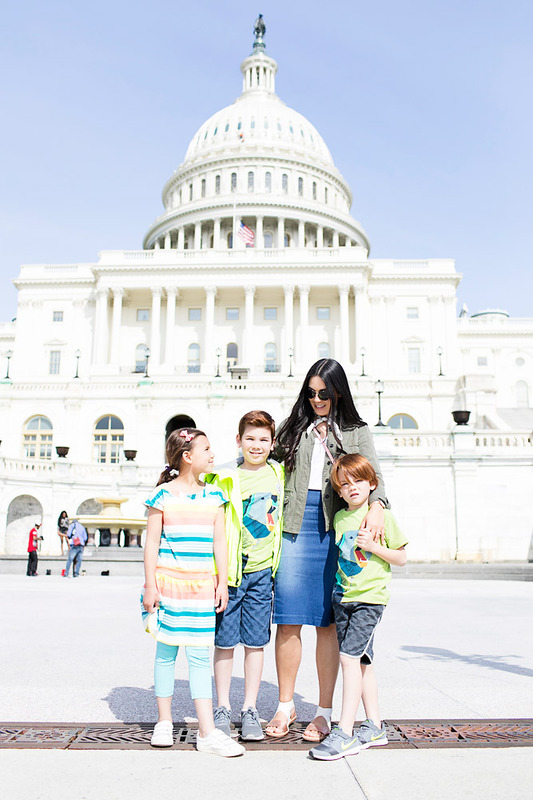 Not all family vacations, or really I should say family trips, (it is a lot of work!) are going to be perfect, but those teeny glimpses where we are all smiling ear to ear, laughing together, and having a good time. Well, that is what I live for! They are definitely few and far between, but whenever we are blessed with those rare magical days as a family, they do not go unnoticed! My husband and I looked at each other after the most magical day on the mountain, and we knew that we had pulled it off! One of those close to heaven days that we will never forget! We have only had a few handfuls of those days that we will hold onto for years and years to come! We were so happy to be able to enjoy our time together! 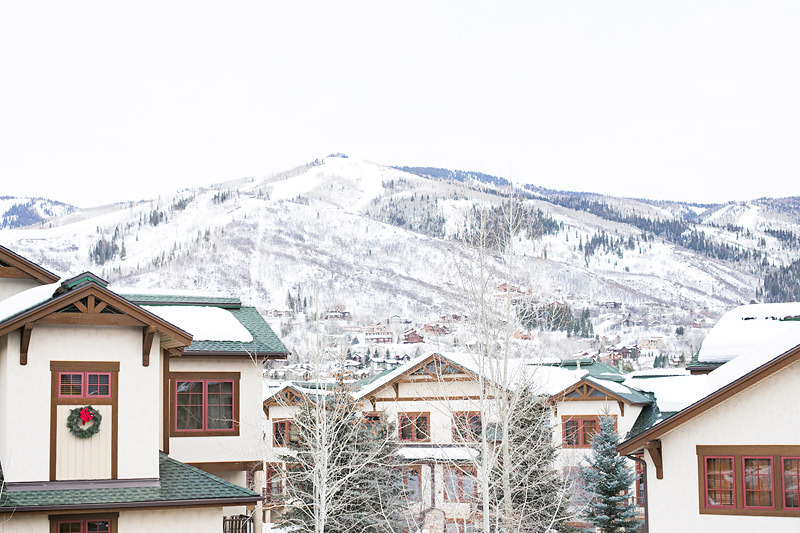 For more information about Wyndham Vacation Rentals, and Steamboat Springs Resort be sure to check out their website, and social media channels below! 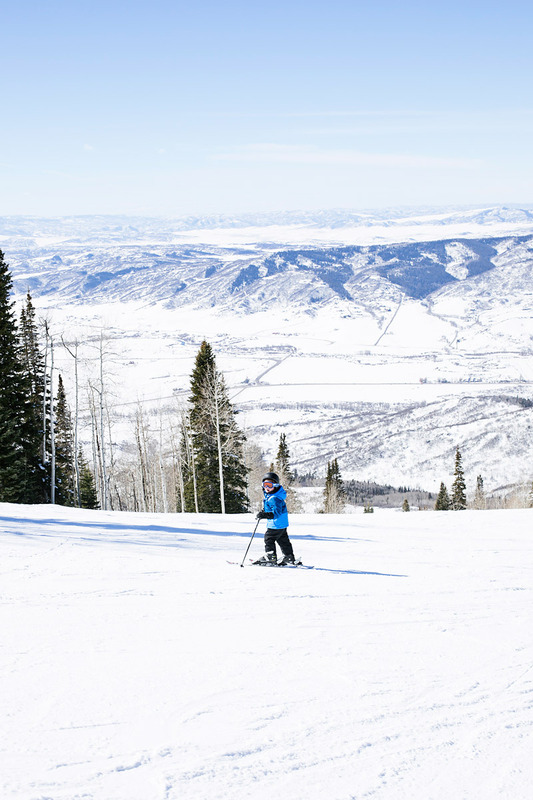 And, don’t forget to check out Steamboat Springs Deals Page for the best rates! 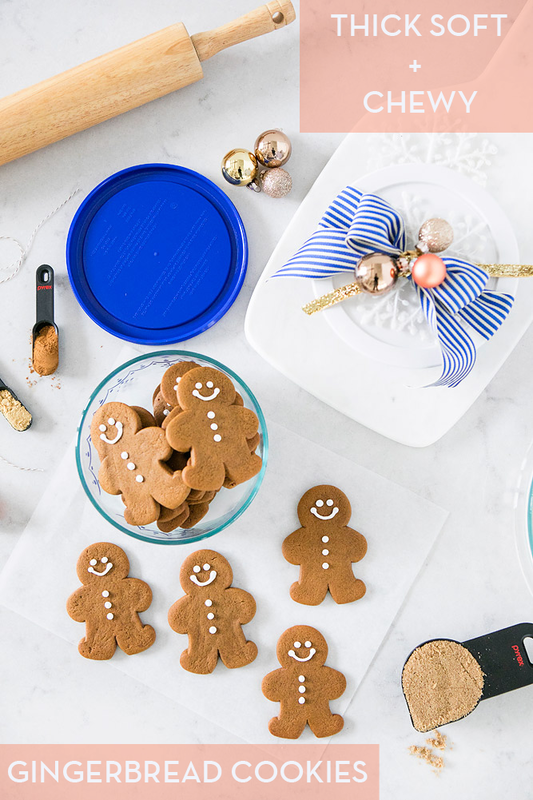 *Unlike when you book from a stranger through a listing site, booking with Wyndham Vacation Rentals means you’ll be taken care of before, during and after your stay by experienced hospitality professionals. 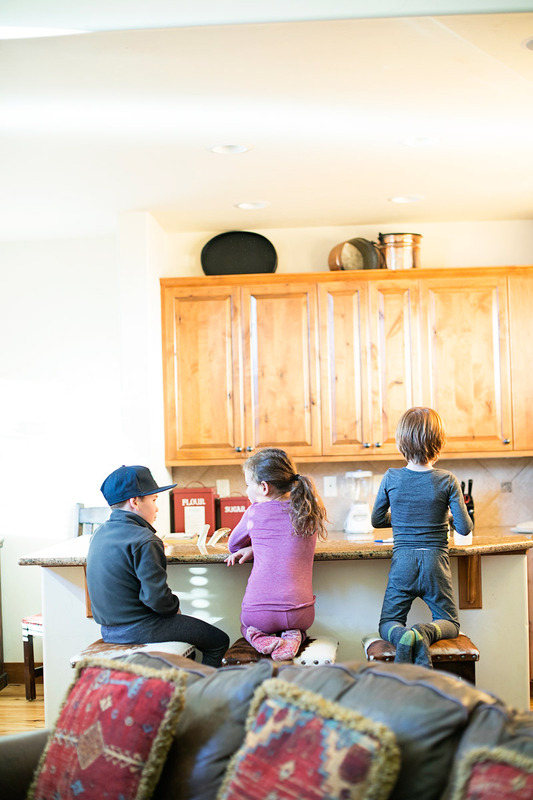 With Wyndham Vacation Rentals, you can book knowing your vacation is backed by the Vacation Rental Bill of Rights, an industry-first service pledge that lets you know they are there for you before, during and after your stay. With so many Vacation rental properties, it is nice to know you’ll be taken care of and have experienced professionals working for you. 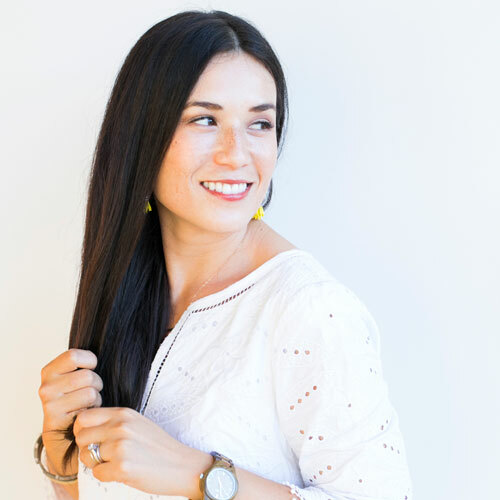 And, when booking from online listings it is hard to know they can be trusted and backed, which could leave you out of money and out of a place to stay on your trip. Great article. Colorado is my favorite skiing place. I review your post, and I am excited my skiing experience. 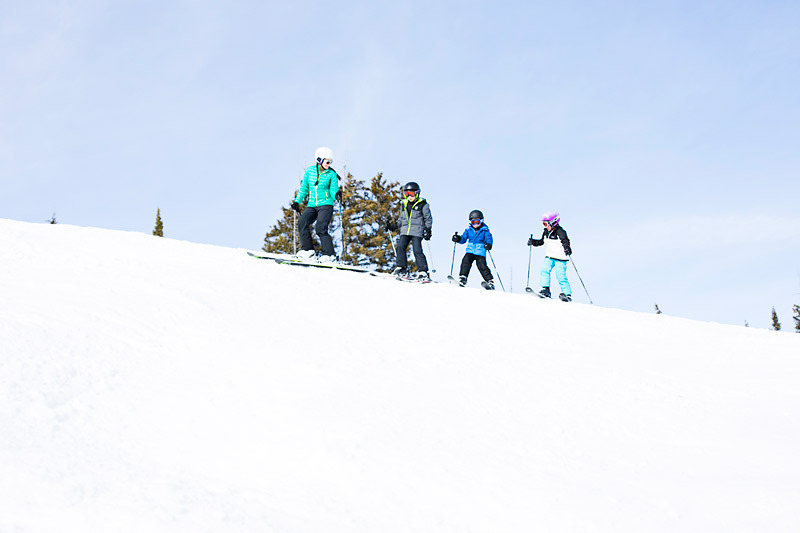 Your five secrets advice to a perfect skiing with family. I want to go with my family. Hope could help us your advice when going skiing with family. Would you tell me about your perfect family ski vacation?